Embark on your own adventures across J.R.R. 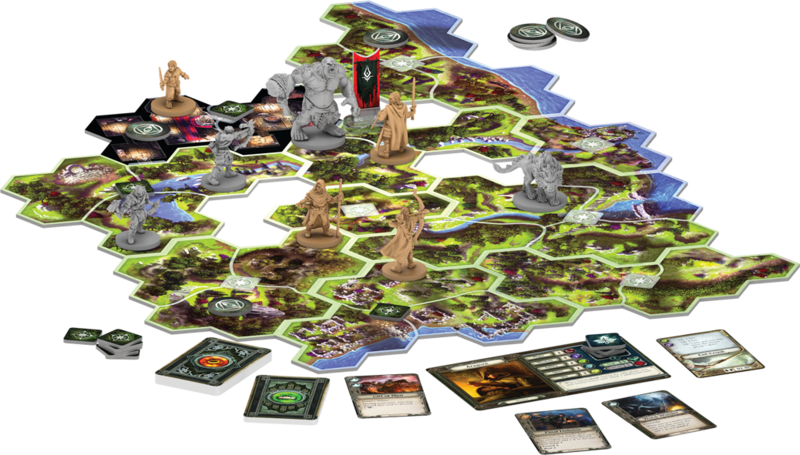 Tolkien’s iconic world with The Lord of the Rings: Journeys in Middle-earth, a fully cooperative, app-supported board game for one to five players! 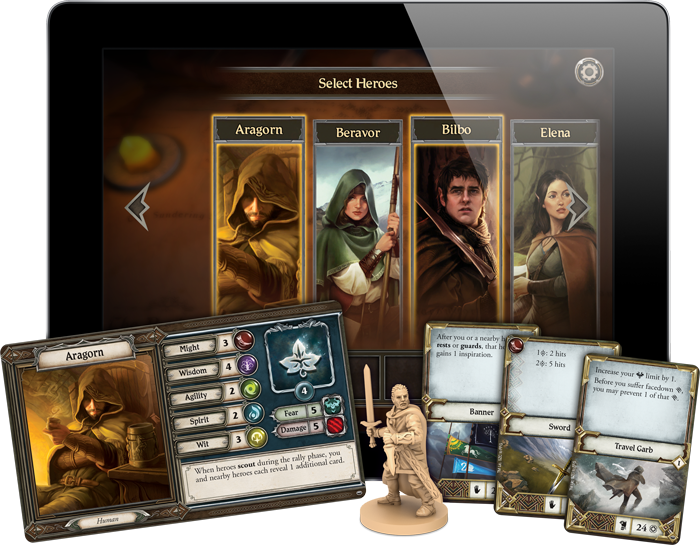 Become a hero of the Free Peoples of Middle-earth, testing your might and wisdom in combat in perilous adventures across this epic fantasy landscape. Throughout your journeys, you’ll battle powerful foes, discover lost treasures, uncover forgotten lore, and customize your skills according to your role within your Fellowship. 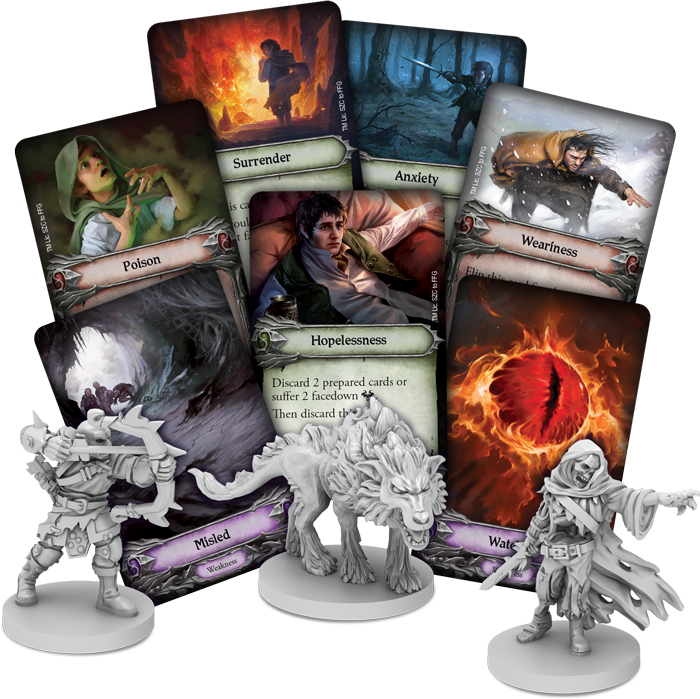 As darkness is rising, unifying evil, shadow, and corruption, it is time for new heroes to rise and begin their journey in Middle-earth. Write yourself into the history of Middle-earth with the epic adventures of The Lord of the Rings: Journeys in Middle-earth. There’s no telling where your adventures could take you as you immerse yourself in Middle-earth more than ever before. Guided by the app, you’ll experience a new adventure every time you play. From Aragorn to Bilbo, Journeys in Middle-earth gives you the chance to build your own Fellowship with six of The Lord of the Rings’ most iconic characters. In addition to their special abilities, every character can contribute to the group by taking on a different role. Take charge and prepare for any situation as a captain or inspire others to succeed at their tasks as the musician. Once you’ve chosen a character and role, you’re ready to begin your campaign. 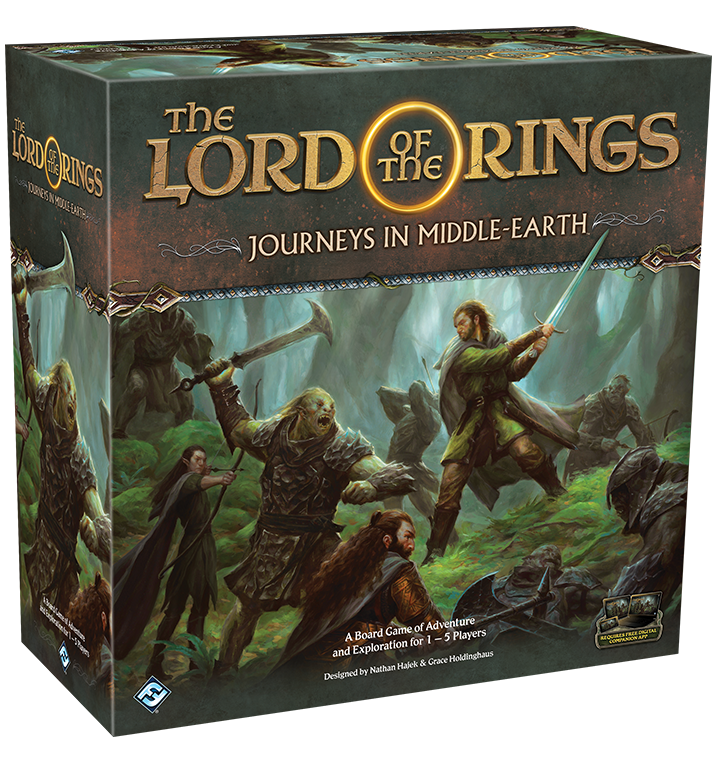 Rather than isolated adventures, each game of The Lord of the Rings: Journeys in Middle-earth is one adventure of a greater campaign. Your progress in each adventure unlocks new strands of the game’s interwoven scenarios or new side quests, making each campaign continually surprising and highly replayable. Powerful foes stand between you and your goals during every adventure, forcing you to work together and make courageous decisions to overcome each new challenge. Enemies are controlled by the app, giving you the freedom to plan your moves and use all of your character’s skills to fight against the evil that threatens the land. At particularly pivotal moments in your journey, the action will shift to the battle map tiles, plunging you into tense and cinematic encounters that could decide the fate of your party. Only those who overcome their fear can hope to push back against the encroaching darkness.